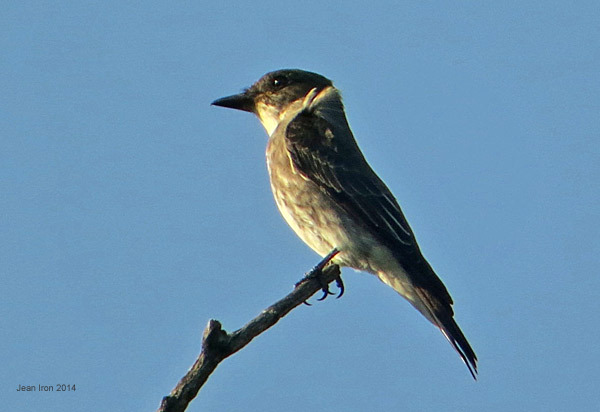 One Olive-sided Flycatcher was reported by Bruce Parker in the morning of 4 September 2014, then refound by Elias Takacs around 5:15 p.m. While Elias and I were watching it another flew in. 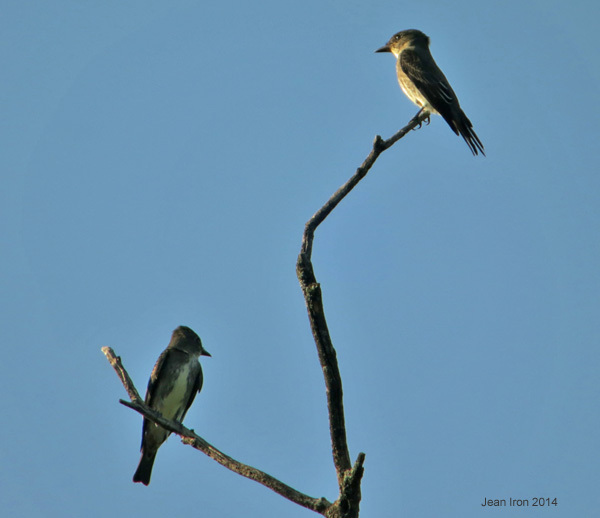 Both birds were catching large flying insects. The tall dead snag is above a maple tree on the west side of the trail that leads north from Brookbanks Drive near the intersection with Underhill Avenue. So far this fall I haven't seen Olive-sided on the dead hemlocks in my garden, which is about 0.5 km away.